2 more songs and I can make the box set! Thank You. I just picked this up in a trade about a week ago. I love it. 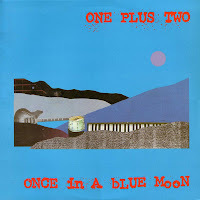 great music, never heard of them and love the REM/ Mitch Easter sound..
any chance you might have that 1st lp "One Plus Two ‎– The Ivy Room " for download? Hey, 1 more thing , Track 7 noted as "heaven up there" seems to be the wrng track, probably mislabeled while naming downloads, this track is awesome, but its a 80's minimal new wave band with a female singer, not on par with the other 9 jangly pop songs.. PS id like to know who sings the track by the way!, love Minimal 80s too!